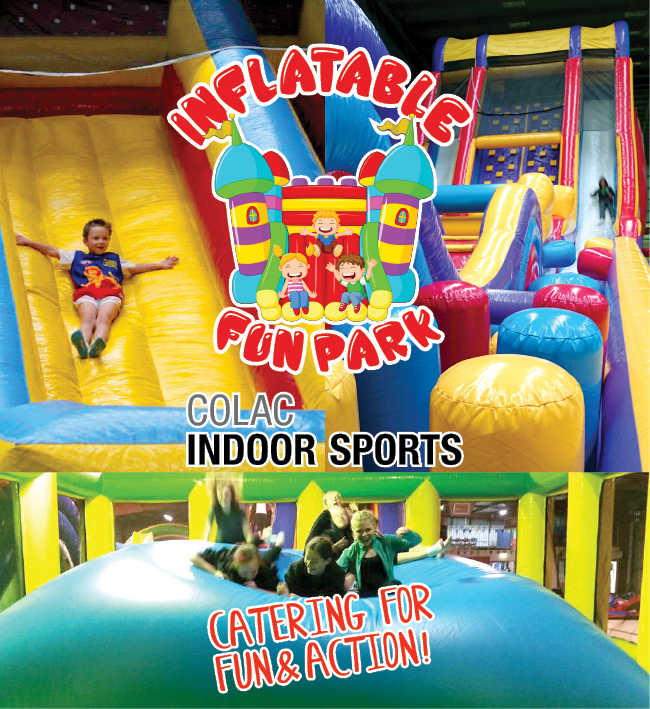 Bounce into Inflatable Fun Park! Kids will love to jump, climb and slide on the range of fun inflatables (including a 4 years & younger area). Entry Fees: All children 14 & under are welcome. All Inflatable Fun Park participants MUST WEAR SOCKS. OPEN : April School Holidays Sat 6 April, Tue 9 to Sat 13 April, Mon 15 to Wed 17 April 10am to 2pm. Enquire today when next open for future bookings parties/groups or general entry.